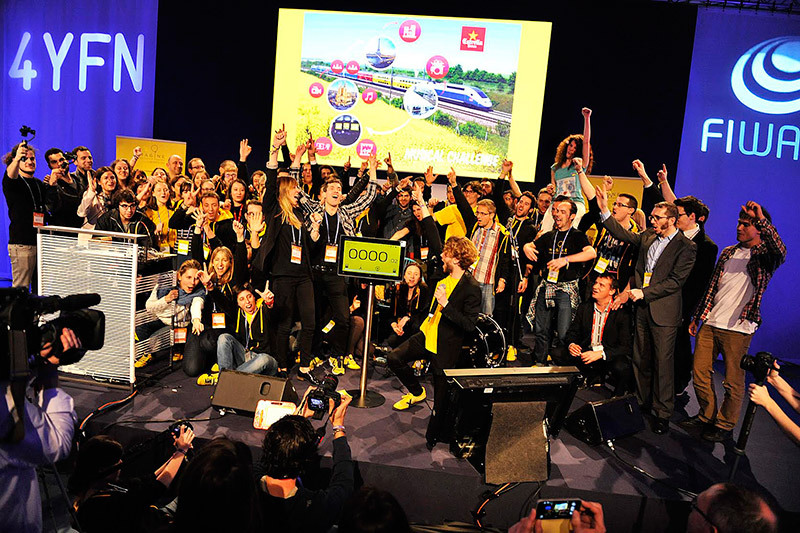 Imagine Express was an incredible challenge organized by Imagine Creativity Center with Ideami as creative director. 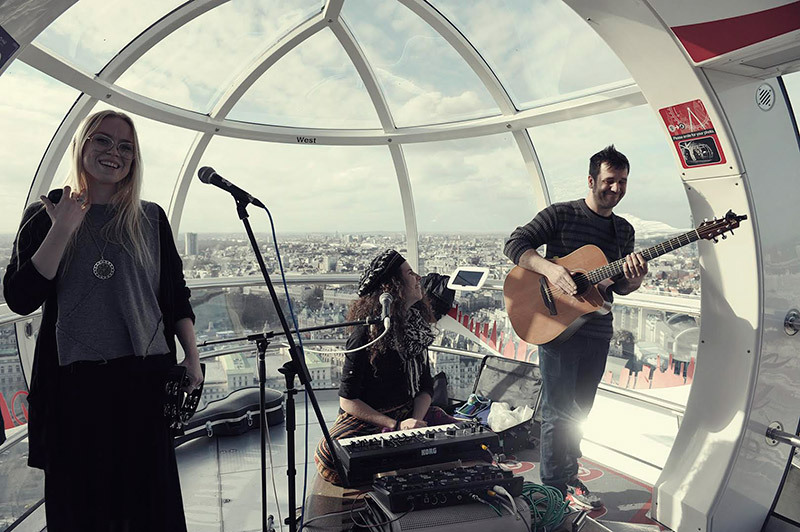 Three talented musicians that had never met before, had 48 hours to form a band and design, compose and perform 2 brand new original songs in Paris, London and Barcelona. 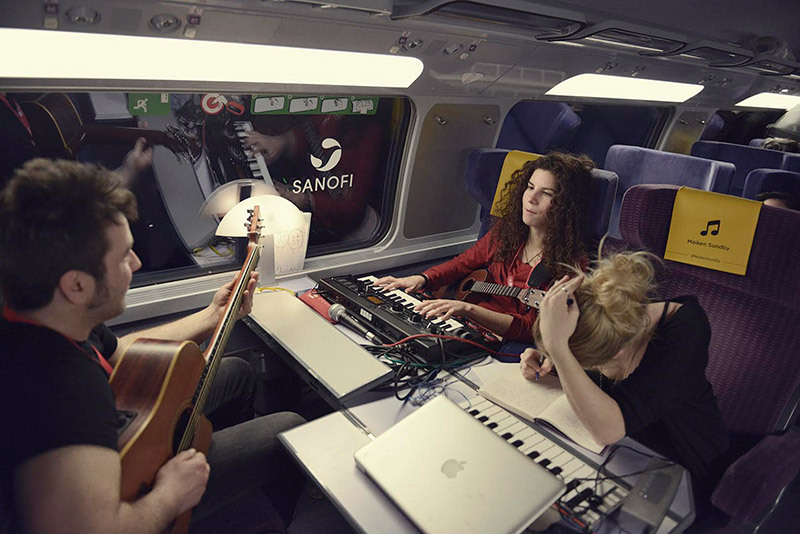 The musical challenge of Imagine Express 2015 has been an extraordinary and unique celebration of how you can challenge the limits of time and space to create from nothing and collaboratively a new band with their first two songs composed, recorded and performed in front audiences in Paris, London and Barcelona. All of this in just 48 hours. Maiken, Miquel and the Cris met for the first time on Friday February 27 in Barcelona. They were taken on stage blindfolded. We invited one of them to start the song “Stand by me”. The others joined spontaneously. It was a magical beginning. From there a rapid process starts. Javier Ideami applied his creative method in 4 phases. The first, reformulation of the problem, is a journey in search of the ideal parameters in order to successfully completing the challenge. The second, ideation, is the vital process of diverging before converging. From the generated ideas, we converged to the best two. From there we moved to Phase 3, prototyping, where the team finished, refined and complete the 2 songs. Then they performed the first song in front of the Staff of Imagine. Phase 4, communication, given by Cristina Salvador, consisted on advising the musicians on how to appear before the public, and how to convey their personalities and messages in the most powerful and effective way. This 4-phase process was developed in a mixture of contexts, from the Barcelona-Paris train to a boat on the Seine River French capital to the heights on the London Eye. In between, lots of movement, passion, 5000 minutes of unstoppable energy, no sleep, a superhuman effort, a full celebration of creativity, a unique fusion process. Upon returning, just 48 hours later, we are a family. Music is our language. Miquel, La Cris and Maiken have delivered not one, but two songs. The have played in Paris and London, in the waters of the Seine and in the heights of the London Eye. Welcome to a miracle in 5000 minutes. Welcome to The Imagine Express Challenge.